United Kingdom first issued its biometric passport on 06 February 2006. 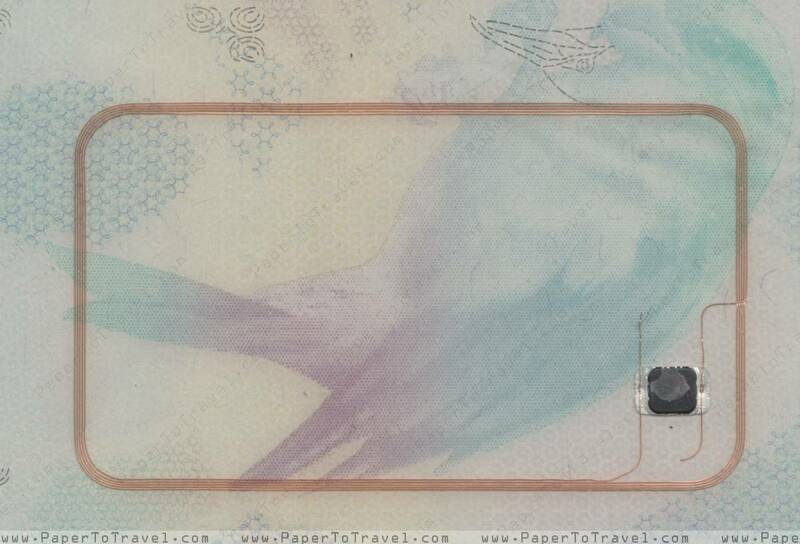 Since 10 September 2001, UK digital image passports have been valid for up to 10 years and 9 months. Biodata page contains four different laser cut patterns in different positions; three are geometric patterns, the fourth is a stylised head of a bird that resembles the page watermark. Laser-cut stylised bird's head resembling the watermark. Observations page contains biometric chip and antenna; any printed observations will be within the antenna area. Business passports have 48 pages. The Welsh and Scottish Gaelic languages were included in all British passports for the first time in 2005. The UK Passport Service is including Welsh and Scottish Gaelic in passports for the first time when the new biometric passports are introduced from autumn this year. This means that the languages will appear in the newly designed passport alongside other EU member state languages. they will not however appear on the personal details page. Although the Welsh Language Act 1993 does not require passports to contain this information and the Gaelic Language (Scotland) bill is still going through the Scottish Parliament, UKPS have decided that the two languages should be included with other design changes. these changes have been made without any increase in the cost of the passport and they have been welcomed by both the Scottish Parliament and the Welsh Assembly. The changes to British passports have been driven by the US rather than the EU. The US requires certain passport features for participation in its visa-waiver programme, which allows citizens of most developed countries to enter the US for business or recreation trips of up to 90 days without a visa. The US demands compliance with ICAO standards, but it also imposes more stringent photo requirements and biometric features. The new US requirements have been imposed on the UK via the EU: the US informed the EU of its demands, and the EU then incorporated them into its own passport standards.